While there are many tree trimming techniques out there, if you want to this yourself you only need to concern yourself with the basics to keep things in order. Alternatively, you can hire a professional and not think twice about it! Read our guide below for more information. 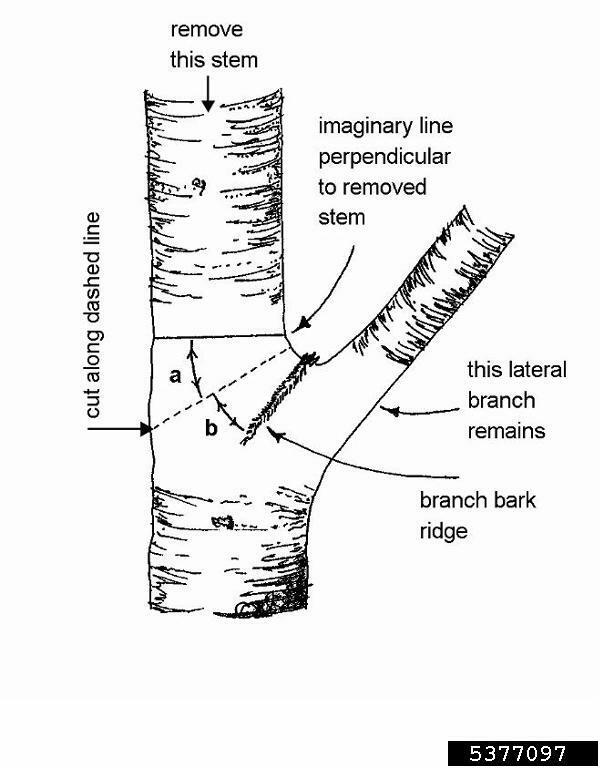 >Lateral branches should be between one-half and three-quarters the diameter of the stem at point of attachment. Otherwise, they should be removed. 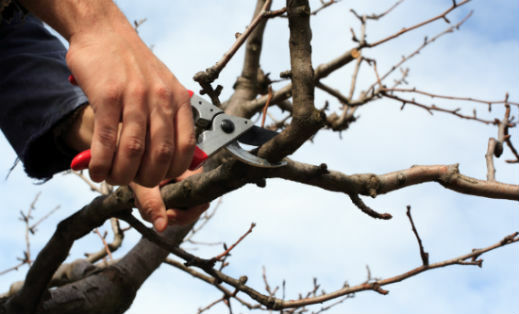 If you want to keep your landscaping attractive, you should consider having your your trees trimmed and pruned. 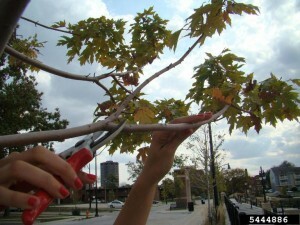 Trimming or pruning helps remove dead or broken limbs and helps keep your tree healthy. 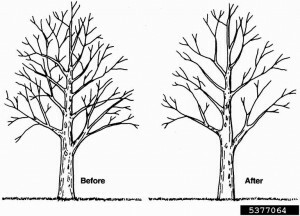 The cost of tree trimming depends on a variety of factors, but is especially dependent on whether you do it yourself or hire a professional. Learn more with our Tree Trimming Cost & Prices Guide. For a list of questions to ask a contractor, see our Tree Cutting & Trimming Service Guide. **Some images courtesy of International Society of Arboriculture. My husband wants the young trees still growing lower branches cut so he can mow around them easier. Is this a good idea. I have trimmed the small branches as the tree grows but the branches are getting thicker so I am leary to trim them. I have two dieciduous trees that lost their leaves on a number of branches. There are a few branches left that have leaves and look healthy. Can I trim away the barren branches? Also, one of the trees lost everything on the top of the tree, can I remove the leader branch? 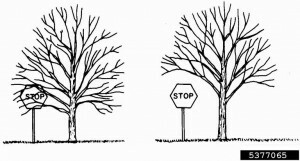 If a limb loses all its leaves during the spring or summer, then that typically indicates the limb has died. It is best to remove any dead limbs back to where the dead limb branches off of a live limb. 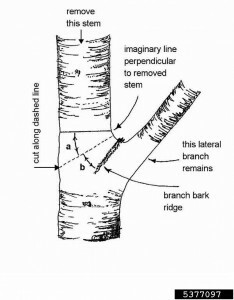 Make sure to remove the limb using an under-cut then a top cut to avoid peeling the bark, followed by a finishing cut leaving approximately a half inch collar for proper healing. I am concered that one of your trees has lost all of the leaves at the top of the canopy. 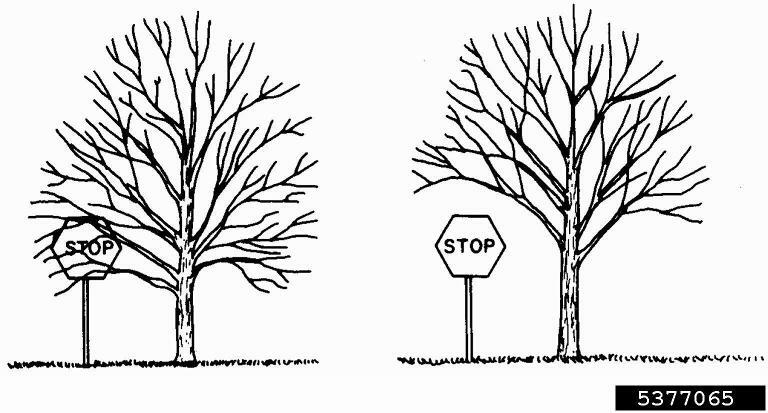 This could indicate a tree that is dying. 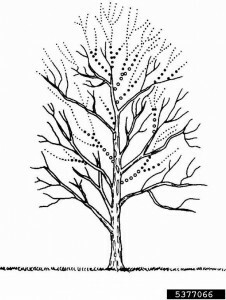 I would recommend you have a certified arborist from a company like happytreeserviceofaustin.com take a look at your trees to ensure there is not some underlying issue that needs to be addressed. Good luck! How do you get rid of sucker limbs that come out from the bottom part off the tree trunk? We keep them pruned off, but they only return with a vengance. Instead of pruning them, you need to get down to their roots and physically tear them out even if it means removing some soil in the process. Tearing them out means the buds will come out too, which reduces the possibility of them reappearing next year. You can also treat the area with chemicals like Roundup Tree Stump & Rootkiller or Bayer Tree Stump Killer, but you need to make sure to pull the sucker root as far away from the main tree as possible to avoid the main roots being damaged. It’s probably safer for your tree to tear suckers out than to chemically treat the problem.